Look at all the creative ways that teens are raising awareness. Visit this page often to see the awareness and fundraising events that are happening across the country. Have you done an event you would like to share? Do you have an idea you would like to try? For more information or to send something in click on Contribute Content. 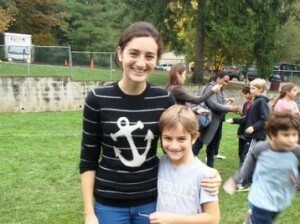 Don’t forget to visit the kids’ Raise Awareness page to see what the under-12 set is doing, too. Your creativity and energy are the key to making a brighter future for all families affected by FTD. Let’s hear it for these great efforts! 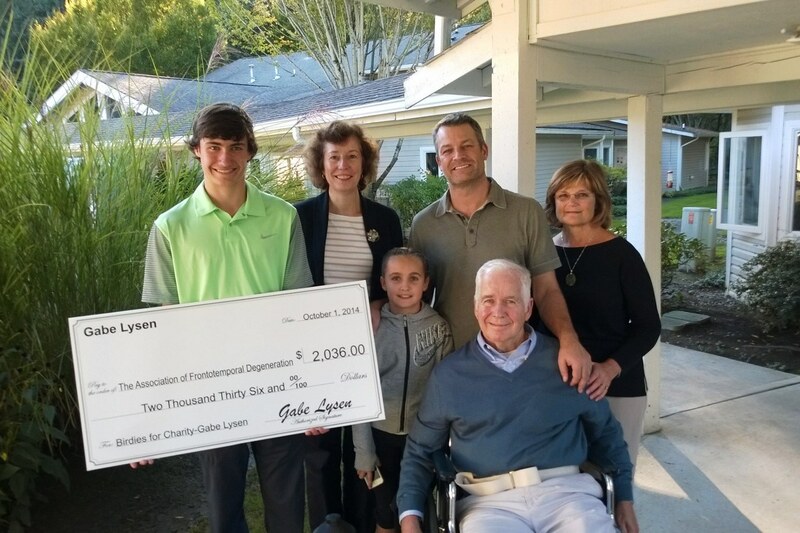 American Junior Golf Association (AJGA) Fundraiser – Gabe Lysen found a way to turn his love for golf and his grandfather into a fundraiser for AFTD. He raised money for his selected charity through playing in AJGA tournaments throughout the summer. On October 19, 2014 at a Food for Thought event in Issaquah, WA, Gabe presented AFTD Program Director Sharon Denny with a “big check” for an amazing $2,036! With Gabe at the event were his sister, dad, grandmother and grandfather, King. 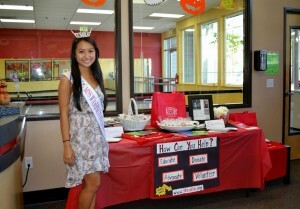 A Food for Thought Extravaganza – Kennedy Ho has done many activities and events to raise awareness of FTD. 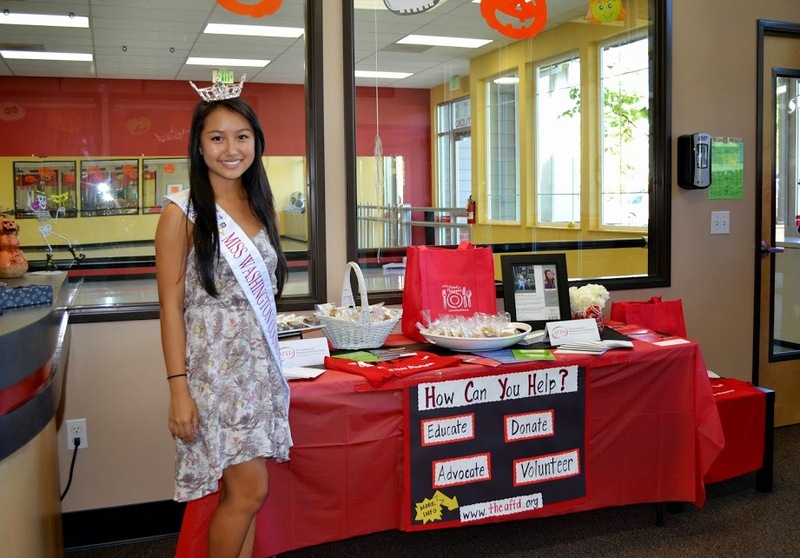 In October 2014, her dance studio hosted an event during the second annual National FTD Awareness Week. Kennedy and her friend reached hundreds of people by giving away 5 dozen brownies, 8 dozen coconut/banana muffins, 11 dozen cookies, and 50 Oreo pops. Each treat had an awesome fact sheet made by local AFTD volunteer Amy Eissler. 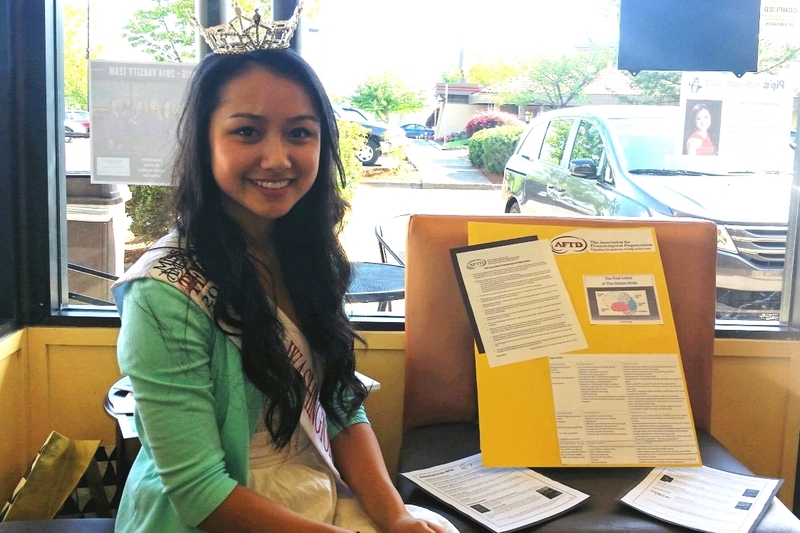 Miss Oregon Outstanding Teen pageant 2014 – Kennedy Ho currently holds the Washington County Outstanding Teen title and her platform is raising awareness and support for FTD research. Kennedy’s grandmother was recently diagnosed with FTD which makes her selection of this platform personal. She organized a fundraiser for AFTD in June 10, 2014 at Pip’s Frozen Yogurt in Portland, OR to bring her platform to the public. AFTD received 30% of the store’s profits for the afternoon. 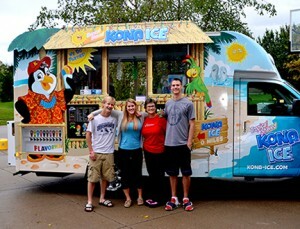 Kona Ice Truck Food For Thought Event October 2013 – The Andersen/Cline family of Ohio hosted a dinner as one of AFTD’s Food for Thought events. They arranged for the Kona Ice truck to come and neighborhood kids also provided their own donations to AFTD as they got their Kona Ice. Contributions made to the event raised over $2,000 in memory of Larry Cline, father of Spencer, Serina and Jason, (also Brandon and Justin, not pictured). 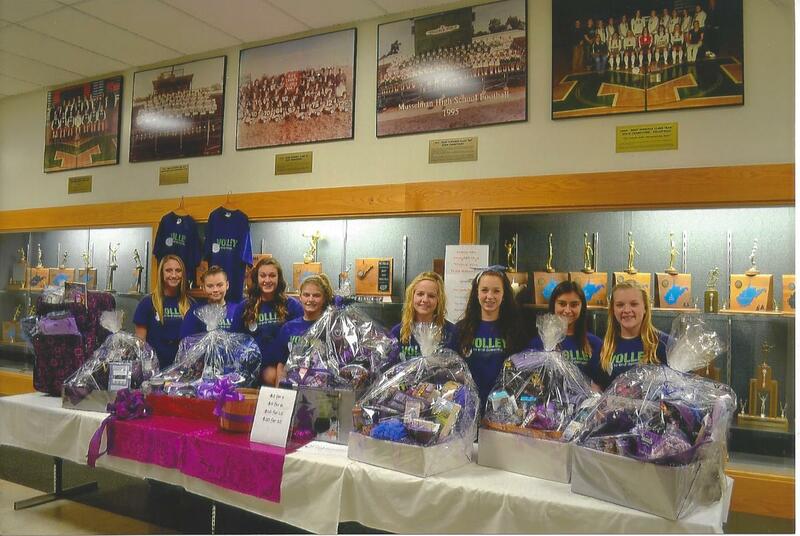 Volleyball Team Raffles Baskets – The Musselman High School girls’ volleyball team in West Virginia does a fundraiser each year. In October 2012, they chose to fight dementia because the father of Head Coach Shawn Martz had passed away the year before from FTD. They sold t-shirts that read “Volley to End Dementia,” decorated the gym, sold “dementia themed” items at the concession stand, and raffled a variety of wonderful gift baskets during the match to raise money for AFTD. The team raised nearly $2,000 to benefit AFTD’s mission. 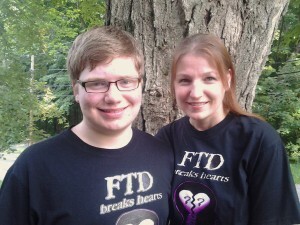 “Her Star” Website and Presentations – Justin Peavey, 16, of Massachusetts has lost several relatives to FTD. In 2012, he launched “Her Star” to increase awareness and support research of the disease. He developed a Power Point presentation about the disease with help from doctors at Massachusetts General Hospital and has done several fundraisers for research. His mother, Kathy, has also tested positive for the gene mutation that causes the disease. Visit Her Star at http://www.her-star.org.